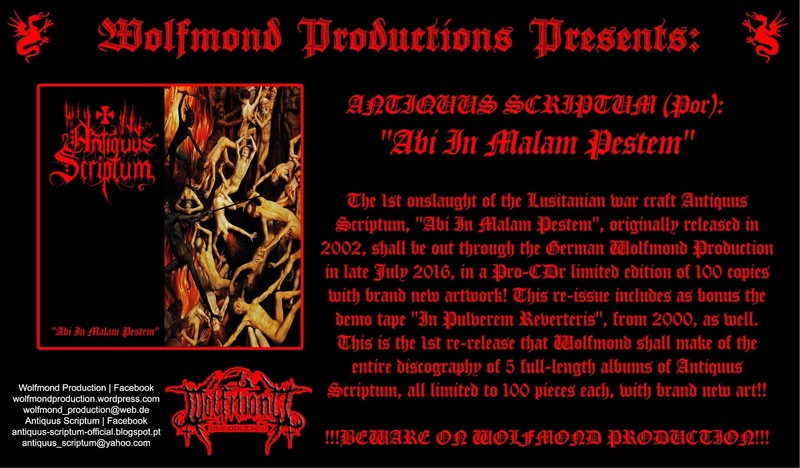 Antiquarium: Reissue (with new artwork) of "Abi In Malam Pestem" ready! Out in late July through Wolfmond Production!! 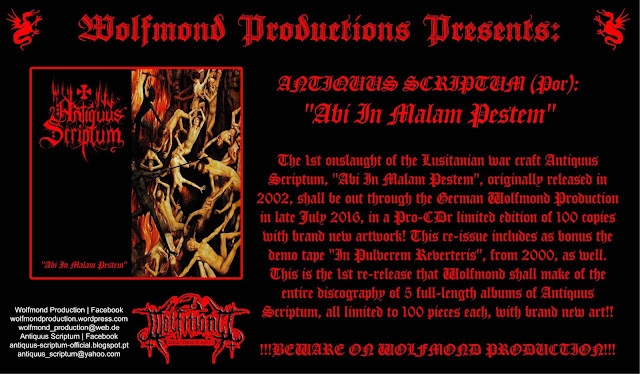 Reissue (with new artwork) of "Abi In Malam Pestem" ready! Out in late July through Wolfmond Production!! Reedição (com novo artwork) do "Abi In Malam Pestem" pronta! Sai nos finais de Julho pela Wolfmond Production! !